There are few things more annoying than stepping out of your hot shower on a cold day and suddenly feeling the temperature drop. Before you get out of your towel and into your clothes, you can feel the cool drafts coming through the window above the sink. So much for comfort, right? 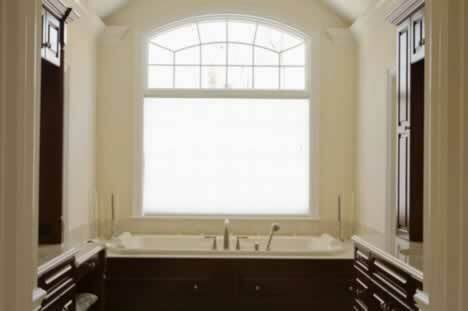 That's why the best windows for your bathroom might be double-pane or even triple-pane windows. Keeping your bathroom comfortable can be done with windows that block the heat transfer, thus keeping your house warmer in the winter and cooler in the summer. Glazed windows are a sure bet when it comes to any room of your house, but especially in your bathroom, where comfort is an essential element. Glazed windows can fit nicely into the architecture of your bathroom, providing the great view you want but the energy-savings you need. You will never step out of a hot shower and be greeted by a cold room again!